In the second portion of our football testing series we will take a look at the standing broad jump. 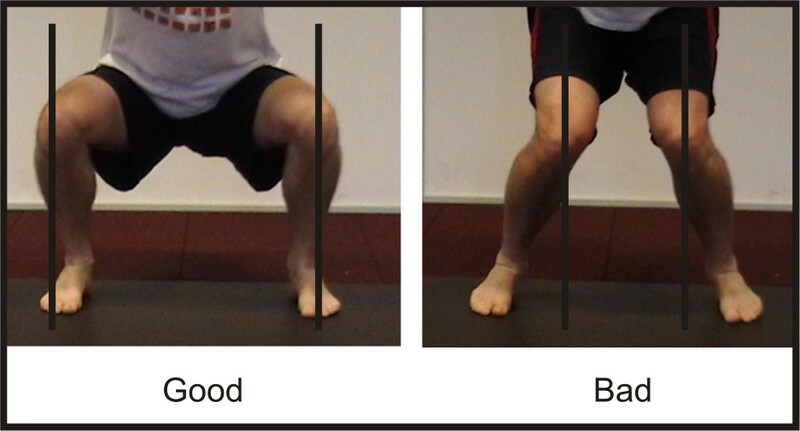 This test is a fantastic assessment of lower body horizontal power. This tool works great for football players, who have to explosively move of the line of scrimmage once the ball gets snapped. A common misconception is that you merely stand on a line and jump. Don’t be fooled by the simplicity of this assessment. Horizontal jumping can be a complex coordination pattern because the upper and lower extremities must move harmoniously in order to achieve optimal results. Let’s take a look at a few factors that can help you or your athletes add a few inches. It’s no surprise that lower body power is what propels you forward during this test but the arms play a vital role in projecting you higher off the ground and further down the tape measure. The most efficient swing technique would be to start in a standing position with your arms out in front of you. As you drop down to “load the spring” your arms should sweep back, followed by an immediate, powerful swing forward as you takeoff. Does it matter how awesome the take off was if a plane crashes near the end of its flight? The same theory (obviously to a lesser extent) holds true during the broad jump test. Height and distance are all based upon the action taken prior to take off but this in no way omits an individual from having to properly land each jump. When landing a jump it is important to land in a position that allows the force to dissipate. This is achieved by bending the knees and sinking back the hips. An athlete should never land in a stiff-legged position. When landing, it is also important that the knees land in a position stacked in-line with the ankles and do not collapse or cave medially. Both of these habits place a high amount of stress on the joints and can lead to serious injury. Below is a chart with normative data to see how football players stack up in this test and other common tests by position. Check back next we as we move on to discuss the bench press. Lockie, R. G., Schultz, A. B., Callaghan, S. J., & Jeffriess, M. D. (2012). PHYSIOLOGICAL PROFILE OF NATIONAL-LEVEL JUNIOR AMERICAN FOOTBALL PLAYERS IN AUSTRALIA. Serbian Journal Of Sports Sciences, 6(4), 127-136. Newer PostPart 7: The First Transition Period, cont.